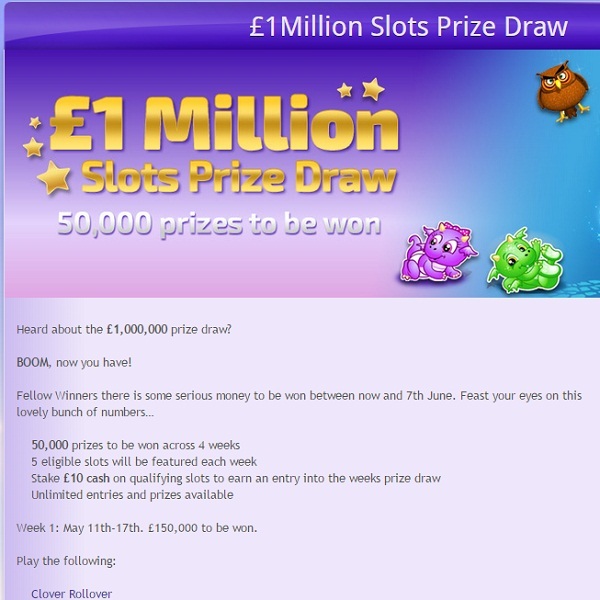 Bingo players that like to indulge in slots side games should make sure that they head over to Winner Bingo this month where a £1 million slots prize draw is taking place. Throughout the course of the month there are a total of 50,000 prizes to be won in the prize draw. Each week five slot games will be selected and members that bet £10 on any of these games, or a combination of the games, will receive an entry to that week’s prize draw. For example in the first week of the promotion there is £150,000 up for grabs to be shared by 7,826 players with a top prize of £10,000. With each successive week the number of winners will increase and as well as the size of the prizes. Be sure to check each week for the eligible slots and get the reels spinning for your chance to win big.